Even though the broader church annually commemorates the anniversary of the resurrection of Jesus Christ, the Reformed celebrate his resurrection weekly every Lord’s Day, the first day of the week on which he rose. Because Jesus Christ has been raised, all who believe in him will be raised on the last day. 1. All the Father Gives – Jesus Christ is the Bread from Heaven who will satisfy the spiritual hunger and thirst of all who come to him and believe. God the Father is sovereign over who will come and believe in Jesus. Jesus will never cast out those believers given to him by his Father. We assume our own autonomy over our salvation, yet Jesus here clearly proclaims a predestinarian salvation that is the only source of true assurance. 2. Never Cast Out – Jesus will never cast out those given to him by his Father, and for whom he would die and rise while they were his enemies. Those who never come to him are the ones who will be cast out. Faith is what separates between those whom Christ will never cast out but raise on the last day from those who never come and will be cast out and judged on the last day. Jesus identified with his people by taking on our humanity. Our humanity becomes his, so his life, death and resurrection may become ours. The certainty of our resurrection and salvation on the last day is due to our union with him to whom we have been given by the Father. The resurrection of Jesus Christ is a fact attested to by eyewitness testimony. Attempts to prove otherwise will fail, because he is not there, but risen. Because he rose, those who die in faith will be raised to eternal life. Those who die without faith will be raised to condemnation. No one who goes to hell goes unwillingly. Now is the time to believe. Listen to “I Will Raise Him Up (John 6:36-40)” at mcopc.org. 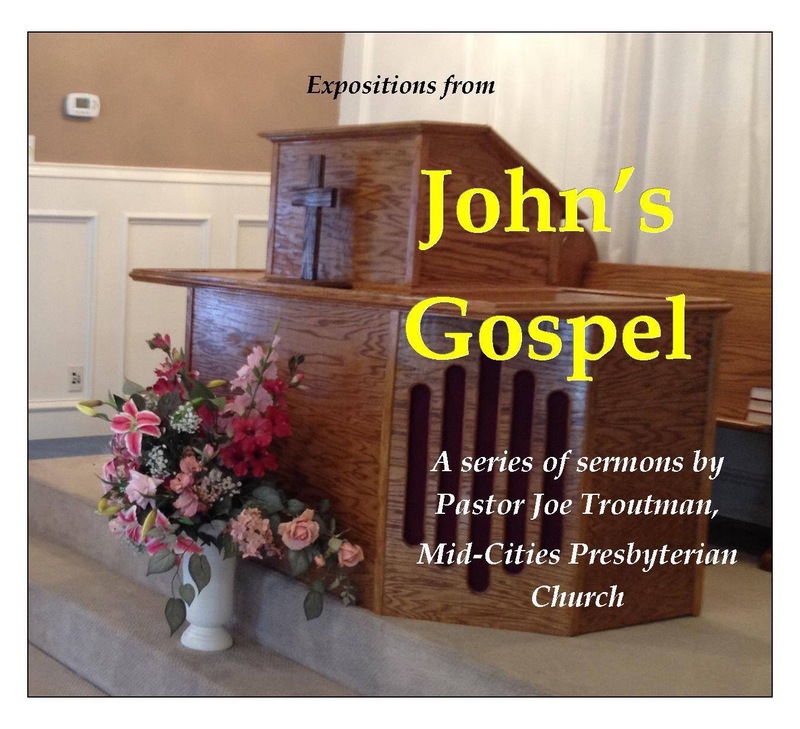 On Sunday, March 29, 2015 Pastor Joe Troutman preached the sermon entitled “I Am the Bread of Life” from John 6:30-35. The Old Testament background for this New Testament passage is that of our Scripture Reading from Nehemiah 9:9-21. Those who believe in the Lord Jesus Christ will never again spiritually hunger or thirst because he is I AM. That We May See – Having exhorted the thousands of people following him because he fed them to believe in him, they assume he only wants them to believe his words. Challenging whether he is “The Prophet” foretold by Moses, they demand yet another sign from him, as if multiplying five loaves and two fish was insufficient. Jesus had said they need to believe in him and so do the work of God, but they want him to work more miracles. They want signs, just not the ones they get. True Bread – Jesus proclaims Moses wasn’t the source of the manna, but that God the Father is the source of the true Bread from heaven of which the manna was only a type. Again they focus on bread that only temporarily satisfies bodily hunger and perishes, while Christ offers himself as the Bread from heaven that gives eternal life. I Am – In proclaiming “I am the bread of life,” Jesus uses a familiar term which the crowd would have recognized, with which he identifies himself as not just a mere prophet or miracle worker, but as Yahweh himself, the covenant God of Israel who called Moses from the burning bush, lead the children of Israel as a cloud by day and pillar of fire by night and provided them with the manna which typifies himself who is the heaven-sent bread of eternal life. This is what must be believed about Jesus Christ in order to do the work of God. Listen to “I Am the Bread of Life” at mcopc.org.